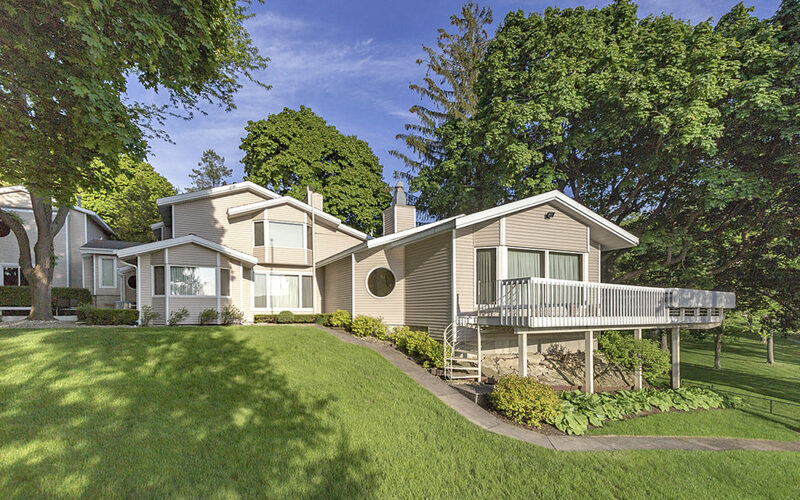 This comfortable Lake Geneva lakefront offers a spacious interior floorplan with plenty of room for entertaining as well as an expansive yard and patio area for outdoor enjoyment, including a delightful lakeside deck. It offers scenic western sunset views and best of all, is located on 150’ of ideal lake frontage. The kitchen is modern with updated cabinets and granite counters, wood floors, 4 fireplaces, skylights thru-out and a gorgeous sunroom. Impressive lake views from the living room and master bedroom, 3-car garage with an additional oversized lower storage area for all the lake toys.